Over 8 million people took the #100happydays challenge since 2015. We looked through over 30 million public happy moments to see what makes people happy. to discover happiness anytime and anywhere. 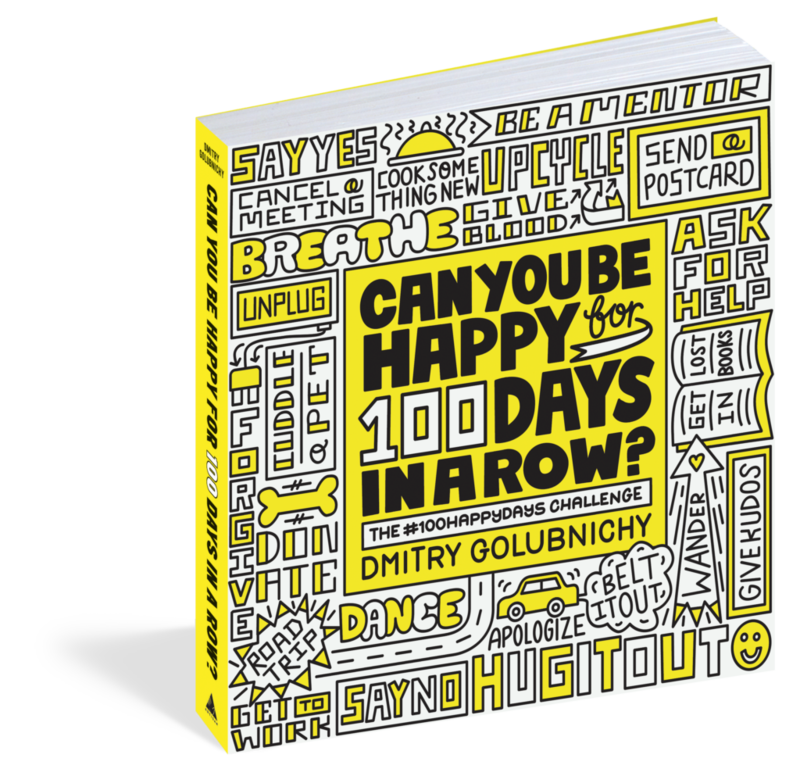 Dmitry Golubnichy is the founder of the 100HappyDays Foundation, a nonprofit organization on a mission to make the world happier. His #100HappyDays challenge has gained over 8 million registered users and inspired over 25 million happy moments in 160 countries since the project began in fall 2013. #100HappyDays has been featured on Today, NBC, CNN, and TEDx and and in the Huffington Post, the Daily Mail, and the Telegraph. Born in Ukraine, Dmitry now lives in Zurich, Switzerland.